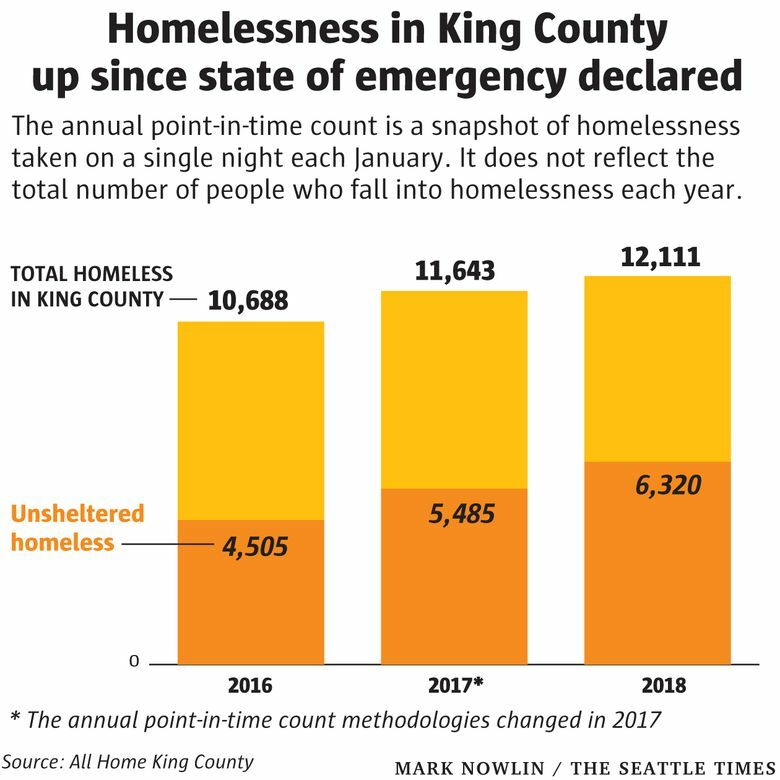 In 2015, the year former Mayor Ed Murray declared a state of emergency over homelessness, Seattle budgeted about $50 million to address the crisis. Four years later, Mayor Jenny Durkan’s recently released budget proposal calls for about $90 million in homelessness spending next year, and Seattle’s City Council is looking to add more. It is a startling increase, but the increase isn’t made up of new spending alone. The jump is due in part to Seattle’s new accounting method. In previous years, when asked for a tally of Seattle’s homelessness funding, city staff often quoted the amount for shelter, rental assistance and other programs for homeless residents overseen by Seattle’s Human Services Department. But other services, like trash pickup at unauthorized tent encampments, was and remains spread over multiple city agencies. In one of her first acts as mayor, Durkan ordered the city budget office to provide a comprehensive tally of the city’s homelessness spending. After scouring the budgets of several other departments, her staff added about $9.5 million to the 2018 spending tally, bringing the amended total to about $87 million. Budget officials applied the same method to the mayor’s recent budget proposal. Released in September, the package includes $89.5 million in funding for homelessness-related programs and services. If Durkan agrees to requests for additional funding from city council, that number could grow. As budget negotiations continue, council members are asking the mayor to approve multiple additions to the budget, including $378,000 to continue funding for 217 shelter beds run by the controversial nonprofits SHARE/WHEEL and $4 million to pilot a new large tent shelter program for people living on the streets.